You're at sea, in your long boat, between one ransacking and another, and you're suddenly parched! What do you do?! Why, pull out your Vikings shot glass of course! Take shots of your beverage of choice to get you through your Viking adventures. 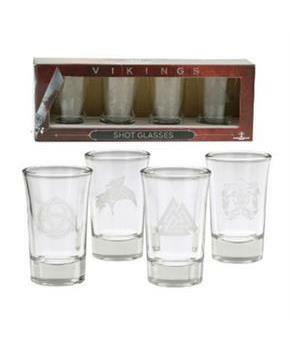 This set includes 4 shot glasses, each with a unique Vikings design. Officially licensed Vikings collectible. You're at sea, in your long boat, between one ransacking and another, and you're suddenly parched! What do you do?! Why, pull out your Vikings shot glass of course! Each shot glass holds 1.5 ounces of your favorite beverage. 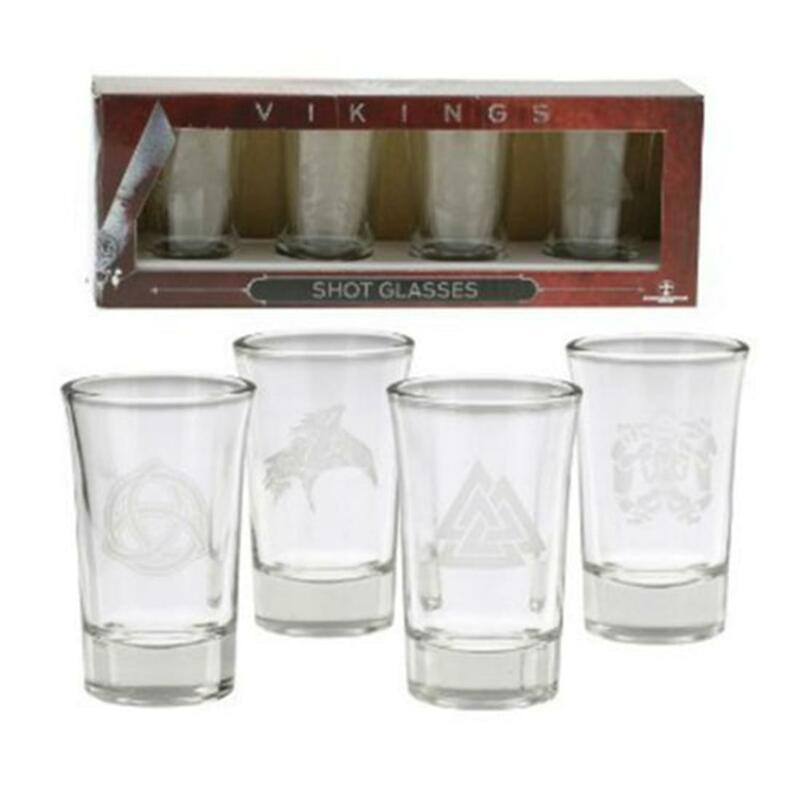 This set includes 4 shot glasses, each with a unique Vikings design.